At Randall Residence of Tipp City we realize that dining is not just an important nutritional part of the day, but that it is also a meaningful social event. Residents can enjoy dining with their friends in the formal dining hall, with a coffered ceiling and an abundance of windows. For those who prefer a quick bite, they can stop by the bistro area and grab a lighter fare. For more intimate meal celebrations, a private dining room is also available; it can seat eight to ten guests. Balanced menu choices are always available and offer the resident a taste of home. The main meal of the day is served at noon, with a smaller meal served in the evening to help promote good digestion. 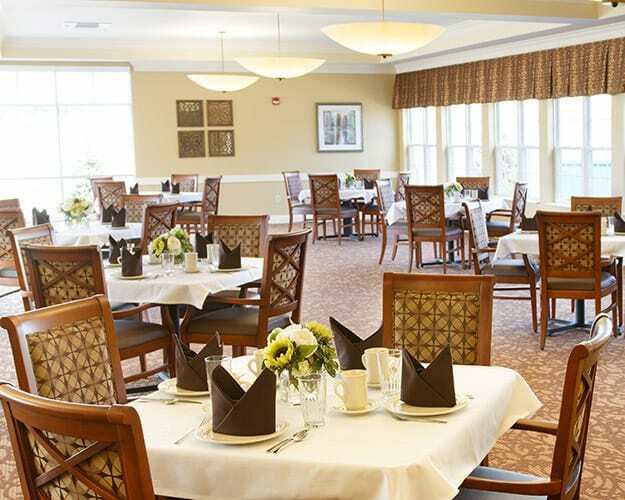 Families and friends are always welcome as guests of our residents for meals. *Menu options in the memory care program will occasionally consist of different menu items that are selected specifically for those with memory impairment. 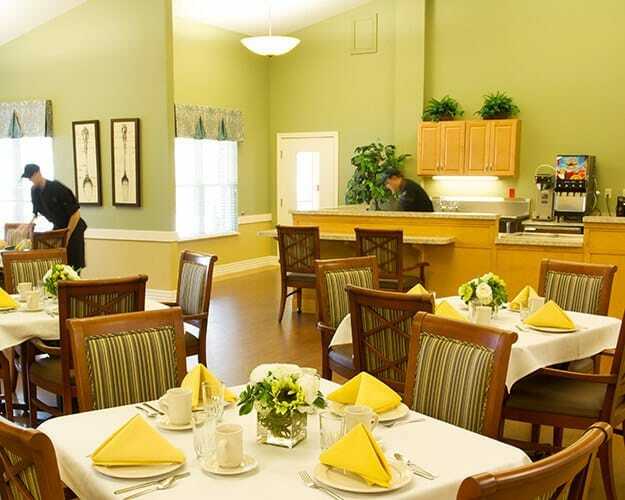 Randall Residence of Tipp City offers this delicious menu to all of our various levels of care, including assisted living, memory care, and respite care. Learn more about how respite care in Tipp City can benefit you and your loved one.